An unexpected and rewarding photography exhibition in this photo-saturated fall, mounted by Dan Wheeler, the son of the artist (himself a serious photographer), is in a spot you are not likely to run across by chance. “The Art of Grayce F. Wheeler,” in the Event Center at Marjorie P. Lee Retirement Community, 3550 Shaw Avenue in Hyde Park, will run through November. It’s interesting from a number of points of view, not least that it presents many fine photographs. 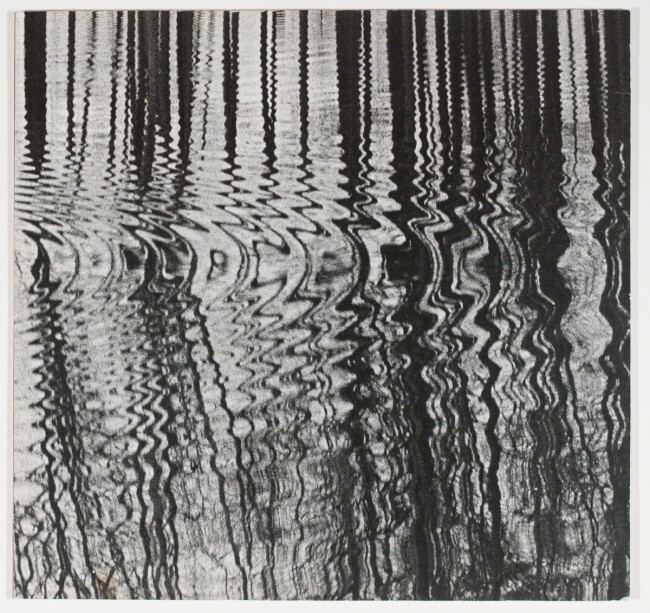 Grayce Wheeler (1918-1940) was a committed photographer with a sure eye, choosing to operate as she wanted (hence, hobby) rather than attempting a professional role. She did need a profession; her husband died of a heart attack at an early age and support of their four children fell to her. 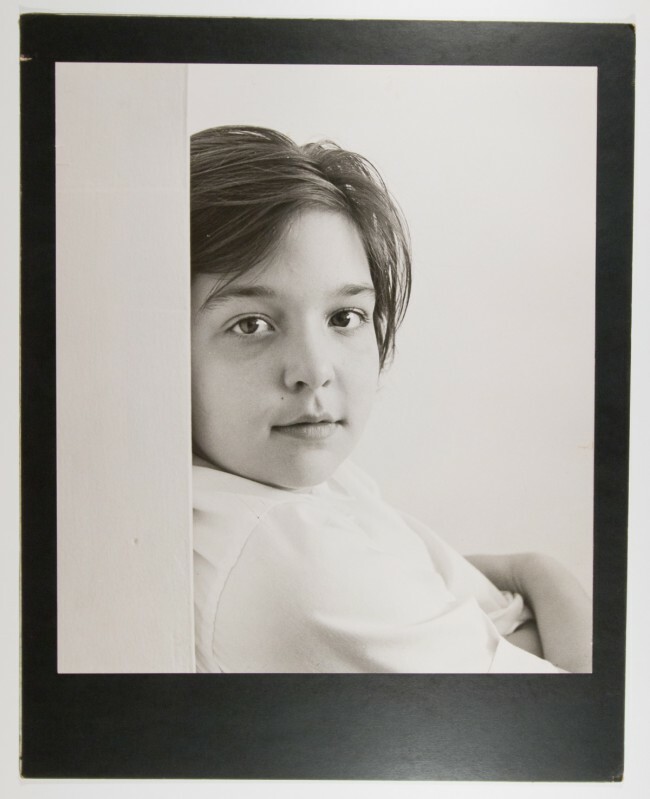 Her own parents moved in to take care of the children and she went to work in the office of an offset printing firm, but photography remained a constant in her life. The current interest in just-discovered Vivian Maier, the nanny whose enormous oeuvre from the same period remained unknown until recently, might heighten recognition of Grayce. Both worked without professional ties but with a high degree of passion and skill. Earliest pieces in the show reflect what must have been an exciting, interesting time for the Wheeler family, in Heidelberg, where Mr. Wheeler worked for the U.S. Army as a civilian. They were there from 1949 until the fall of 1953. A number of striking works come from that period. Grayce – excuse me if I call her by her first name, with its arresting spelling, rather than using the journalistic convention of last name – Grayce, on arriving in photo-savvy Germany, went out and bought a Rolleiflex. Its two-and-a-quarter by two-and-a-quarter inch negative was stronger and more versatile than the 35 millimeter negatives then gaining popularity, although the Rolleiflex was less obliging then the neat little 35 mm. cameras. Vivian Maier’s camera also was a Rolleiflex. Like Maier, Grayce worked in black and white – she would never do much with color and apparently found it less satisfactory – and both loved back-lighted scenes. Not the first photographers to succumb to that spell, but both good at it. 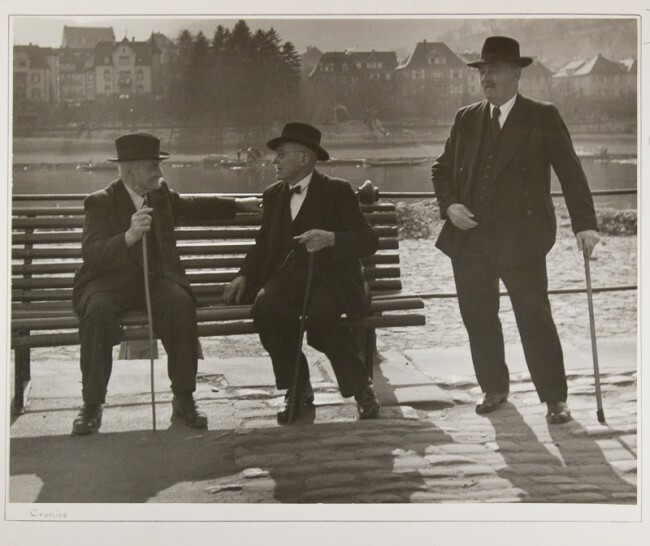 For instance, Grayce’s splendid shot of three old men doing what old men in Heidelberg then did (gather by the river to talk) is in the show. Here’s another, simple but somehow mysterious, and again back-lighted. The Heidelberg stay ended. Mr. Wheeler was transferred to Washington D.C. where illness struck more than one family member and left Grayce a widow. By the late 1950s, however, she was regularly entering photo contests in the Washington Evening Star and pretty regularly winning them. She also belonged to two camera clubs and won prizes there. 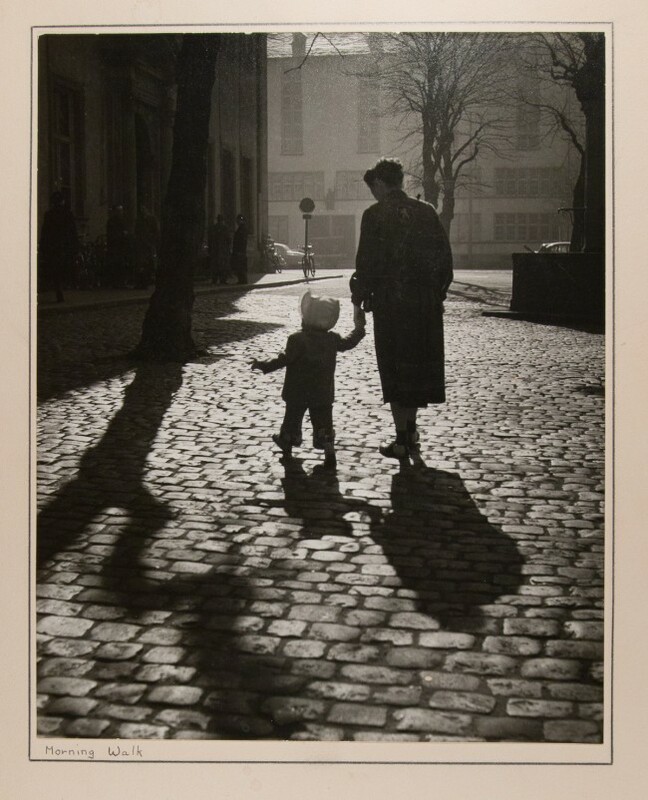 Fairfax, Virginia, where they lived, did not lend itself to street scenes so she turned to her children and produced such engaging photographs as this one. 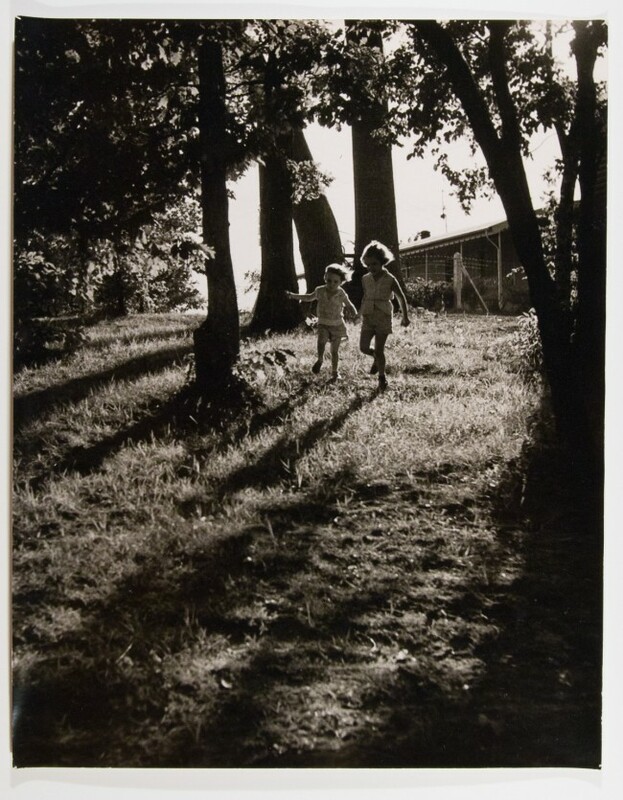 One of the two daughters in this picture, who would later – like her eldest brother, Dan – become a serious photographer herself, complained that the sisters “ran down that hill more than we wanted to” before their mother was satisfied. Clearly, it was worth their runs. Grayce knew what she was after, and it wasn’t necessarily in the first shots. She always had her own darkroom, even though it was not a permanent installation until sometime in the Fairfax years, but had a Leitze enlarger, top of the line, bought in Germany. 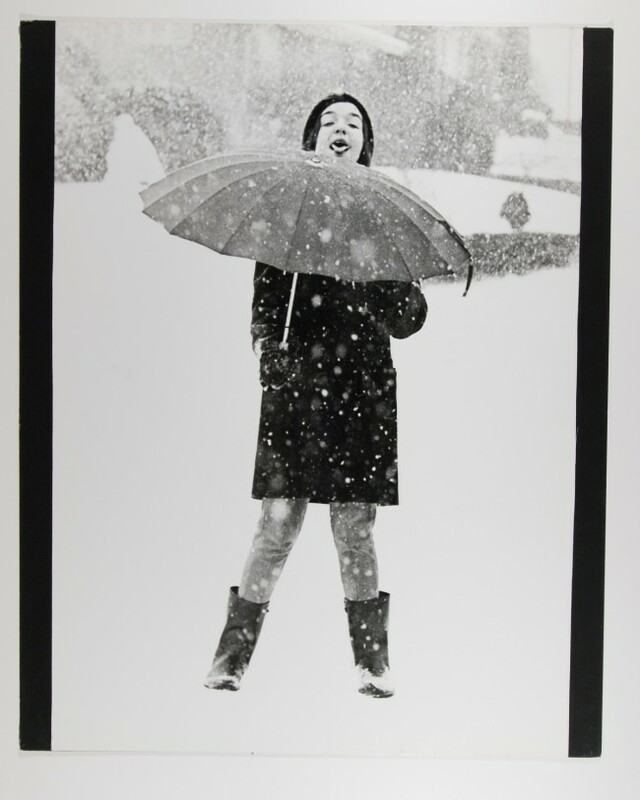 Early on she substituted 16×20 inch trays for standard ones of 11×14 inches in order to make larger prints. The Rolleiflex eventually was replaced by a twin lens reflex camera with interchangeable lens and still later by a Pentax single reflex. Without the street pleasures of Heidelberg, and perhaps without the time, Grayce turned to her family as subjects and recorded them sensitively but not sentimentally. 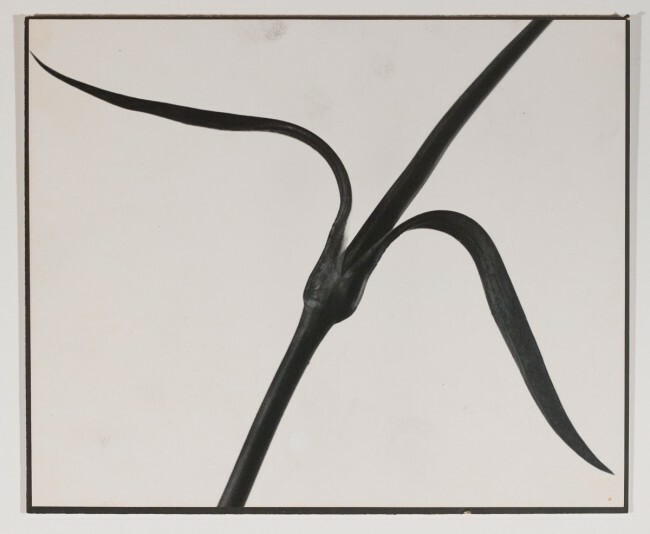 Still later, she gave the same grave attention to objects, and produced images approaching abstraction. Photography is the people’s art. Some of the people do it very well indeed. To see the exhibition, call 871-2090 to make sure no other activity in the Event Center temporarily closes it off just when you want to come. No charge.